"They want to light a star!" For almost one century—it was founded in 1913—the French monthly Science et Vie (circ. 290,000) has brought the marvels of science and technology to an ever-expanding public. In 1988, Science et Vie Junior, aimed at the 11 to 17 age group, was created as an offspring of the main magazine. The editors had realized that reaching teenagers required a different approach, both in the layout and in the language used. Science et Vie Junior, however, explores the same world as its more senior Science et Vie. 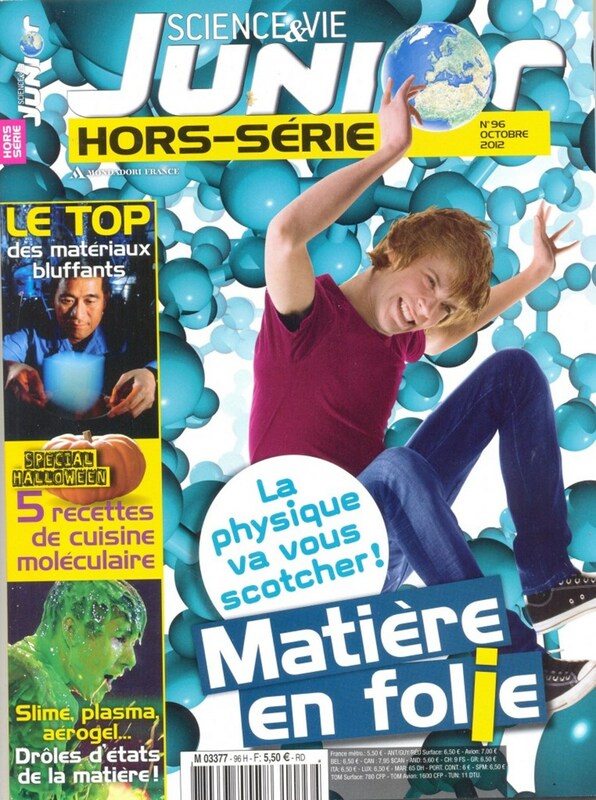 This month for instance, the magazine publishes a special issue on "the different states of matter," promising its young audience they will remain scotchés ("mesmerized") by what they will discover. The ITER Project was cited as a mesmerizing example of the use of plasma. Six full pages are devoted to the physicists, Richard Pitts among them, who "want to light a star" in Cadarache and extract "as much energy from one litre of water as one gets from burning 1,000 litres of oil." The article is remarkably clear and explanatory—an ideal entry point for anybody, aged 11-17 or not, wishing to understand what the ITER project is all about.